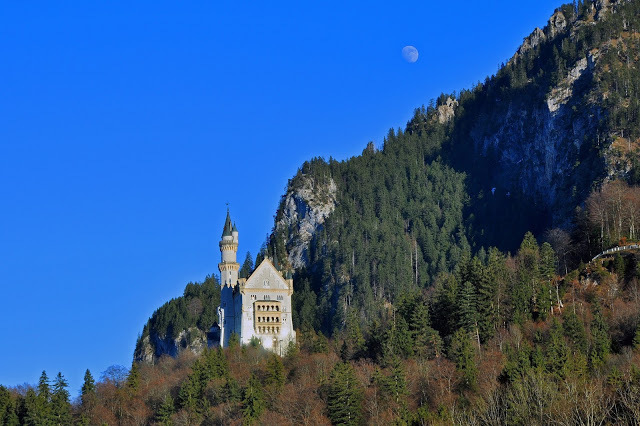 The trip from Munich to the King’s Castles—Hohenschwangau and Neuschwanstein—in the municipality of Schwangau in Southern Bavaria takes about two hours, but it takes you back in time over 100 years. 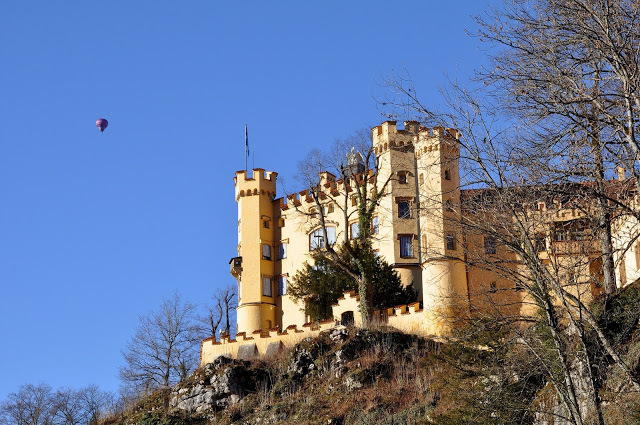 It is perhaps fitting that these castles lie at the end of Germany’s famed Romantic Road – they perfectly evoke the romantic period. 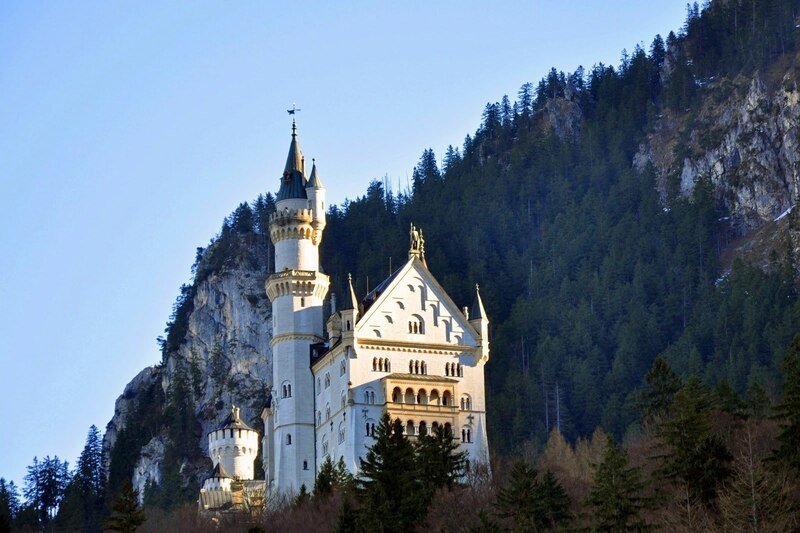 The castles, particularly Neuschwanstein, are not old. 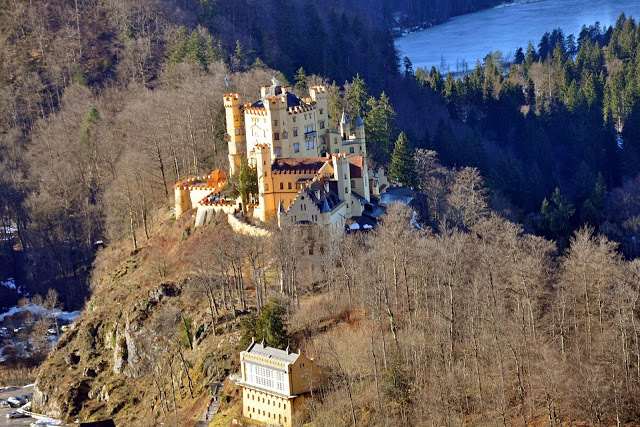 Hohenschwangau was completed in 1837 and Neuschwanstein was still unfinished when its builder, King Ludwig, died in 1886. 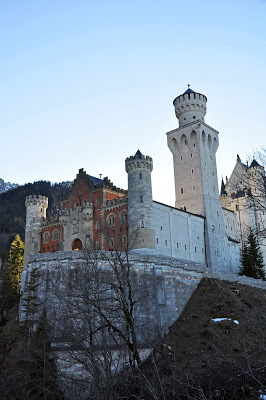 The train dropped us in Fussen and we caught a quick cab up to Schwangau village, where we purchased our tickets. 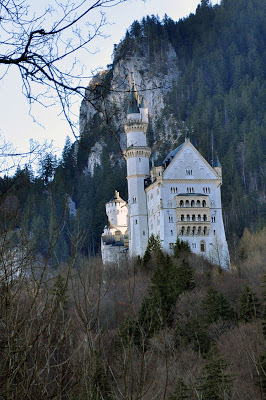 From there, our first stop was Hohenschwangau castle. 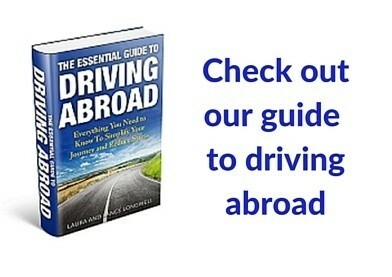 The tour in English lasts 30 minutes and you learn about King Ludwig II’s early life as well as how the royal family lived. 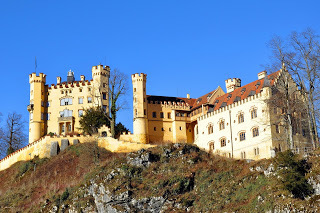 The Hohenschwangau Castle was well appointed, but not over the top and garish. However, it meant we were rushed to get the bus and then literally had to run from the bus stop to Neuschwanstein to make our entrance time. (For both Castles, you have a ticket with a time and about a 4-minute window to enter before you are locked out). 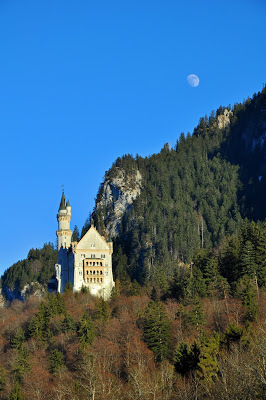 Neuschwanstein was all we thought it would be. It’s over-the-top and self-absorbed, but all in a good way. King Ludwig II dedicated the castle to the music of Richard Wagner, which means you get all the iconography associated with that. 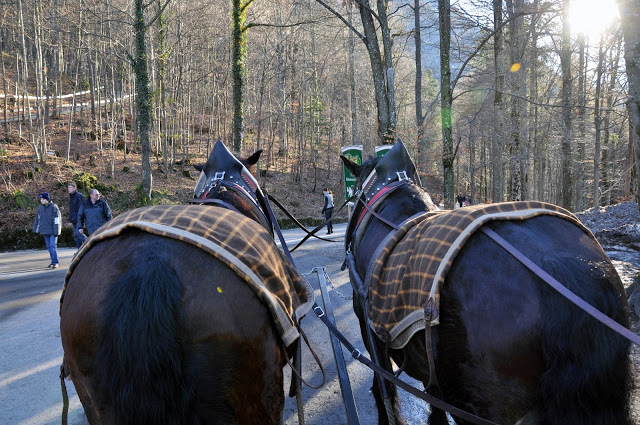 From the Neuschwanstein Castle, we took the horse-drawn cart back down to the village. This is completely unnecessary, but it was an experience. Normally, we eschew this kind of animal cruelty; however, the horses appeared well cared for and were living up to their purpose. It was a pleasant ride.